Three cheers for Friday! 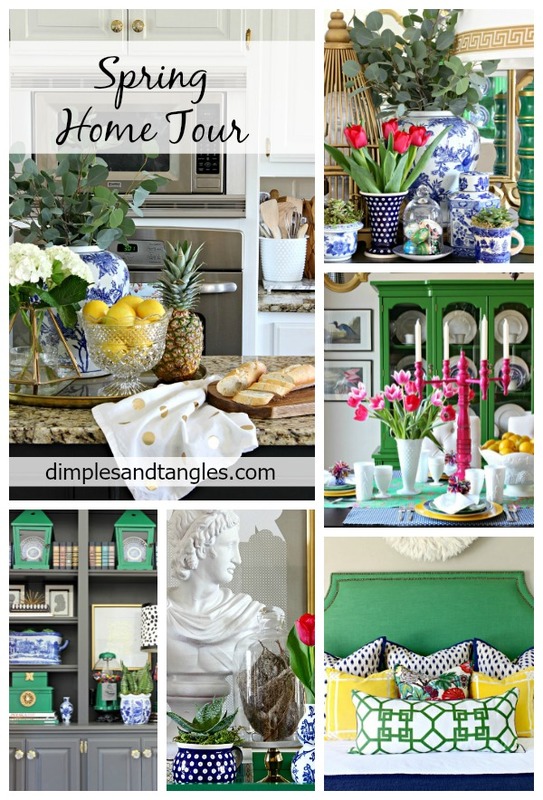 This week has been much busier than normal but I'm so glad to be wrapping it up sharing my Spring Home Tour with you today. If you're visiting from No Minimalist Here, welcome and thanks for coming over! Sherry's tour was full of such pretty accessories... all of that blue and white!! For all of my regular readers, I'm glad you're here too. ;) Many thanks to our sweet hostess Marty from A Stroll Thru Life for organizing this giant group of 30 tours this week...quite the feat! This year, I didn't do a lot of specific Spring-y seasonal decor. Spring decorating for me this time meant freshening up what I have, moving things around, and adding in some pretty fresh flowers. 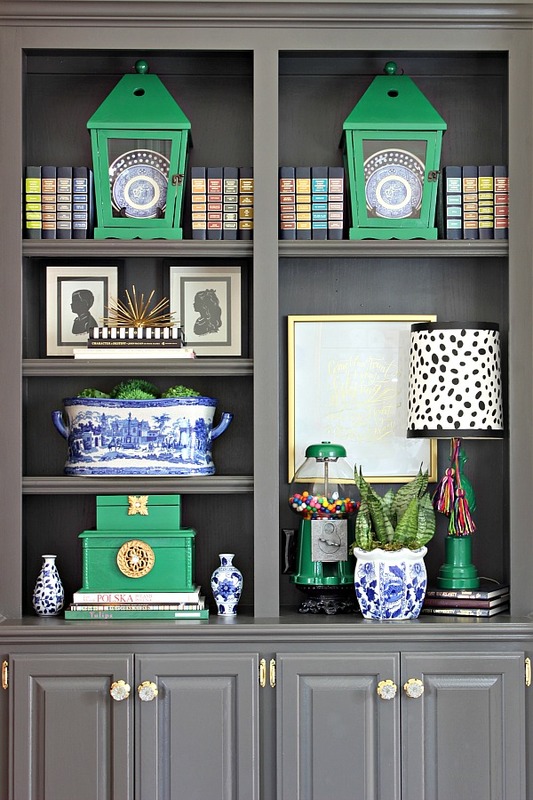 And of course, doing all of that with a healthy dose of color! It's not quite time to add fresh greenery to the porch, so we'll begin our tour in the Entry today. This is always a good spot to give a little nod to whatever season it is. 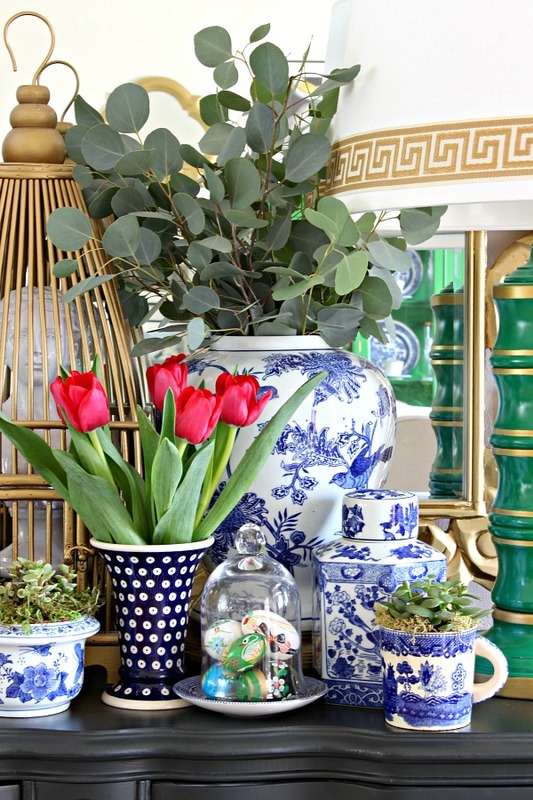 I piled up some blue and white pieces, plants and flowers, and added an old birdcage. I didn't want to fill it with the usual candles or decorative balls, so I stuck my smaller girl statue inside. Other than looking a little bit like she's in jail, I like the unexpected touch. 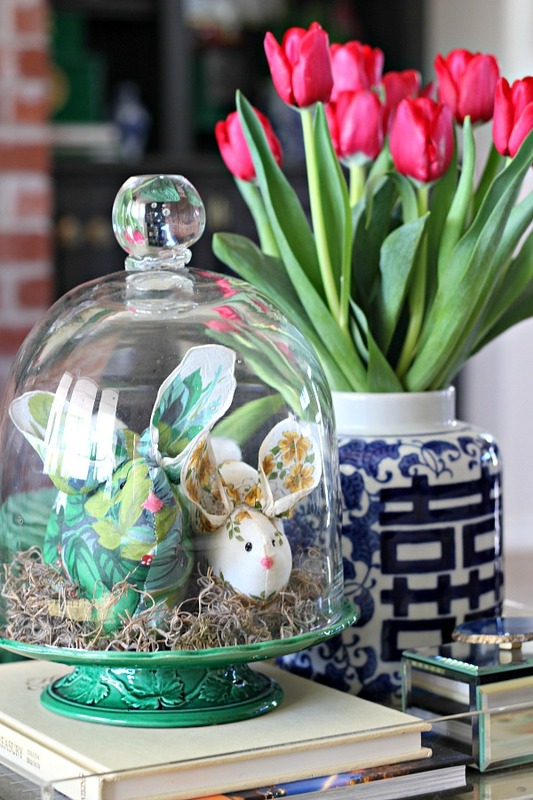 :) I also added in a cloche topping a blue willow saucer filled with hand painted eggs that we brought back from a trip to Poland. 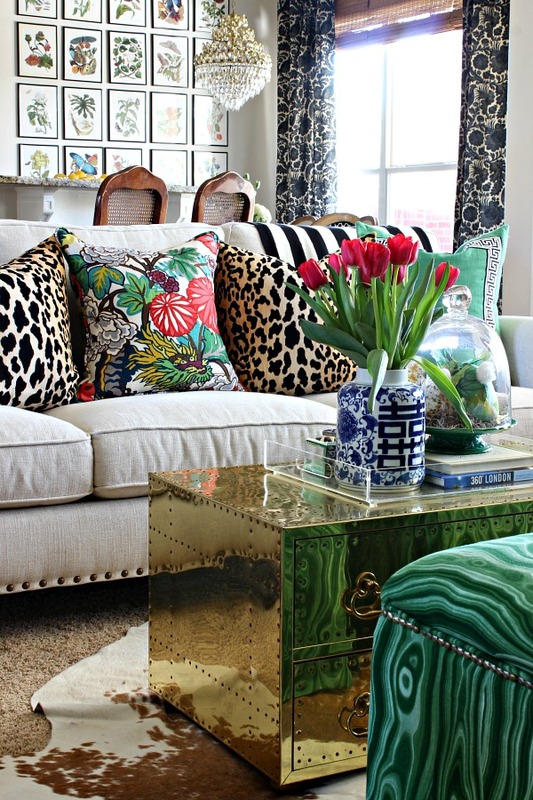 Moving into the living room, I added some new leopard pillows to the sofa and didn't need much more than tulips to say "Spring!" These darling bunnies were made by my mother in law with vintage hankies, and the green pedestal plate was a gift from my sweet friend when we went to London. 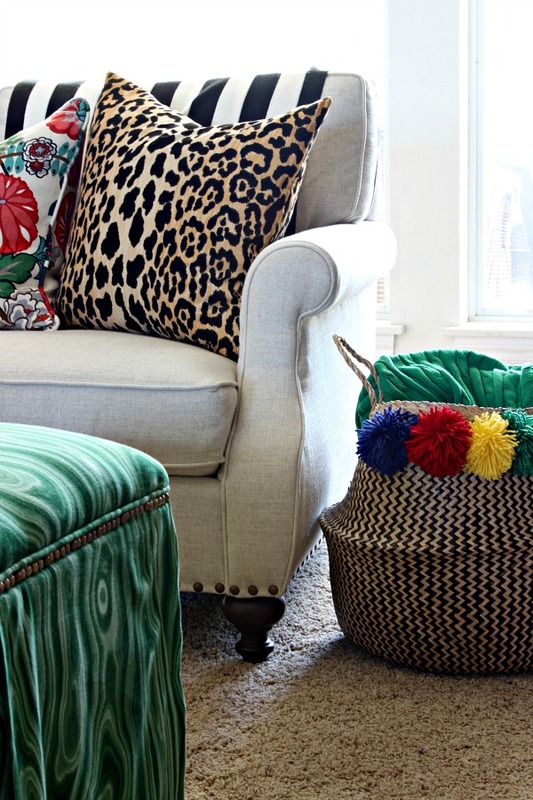 And remember the DIY pom pom basket I shared the other day? They also had this style, which is larger, and a fun woven color combo. I couldn't resist adding some poms to it, too, and it's holding throw blankets for the chilly evenings we're still having. The other pom basket ended up here, holding a plant for now. It also makes a great tote bag, though! I'm glad I got two of this style, I think they're going to come in really handy as well as being just too cute. 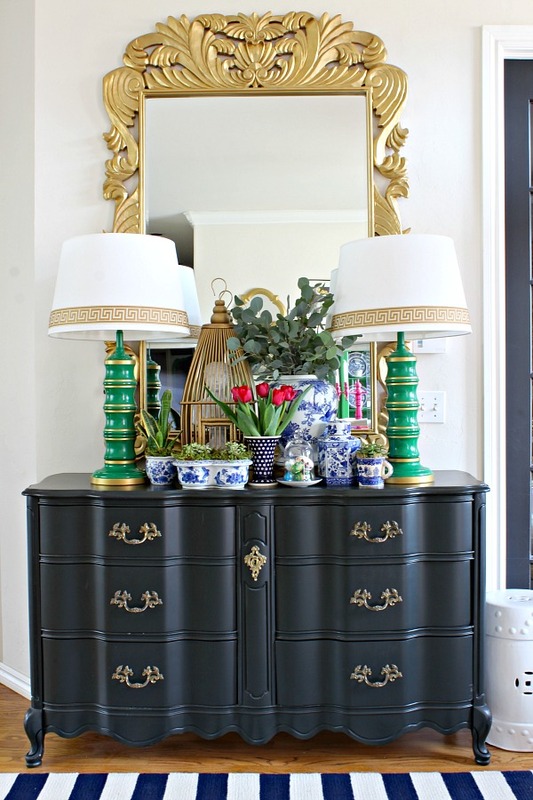 The curbside dresser that I picked up last year holds a simple vignette. A real swallow's nest (at least I think it's from a swallow) that I actually picked up from a yard sale one year while vacationing in Angel Fire NM is under the dome. This post is so photo heavy I needed to truncate, please click over for the rest of the tour! 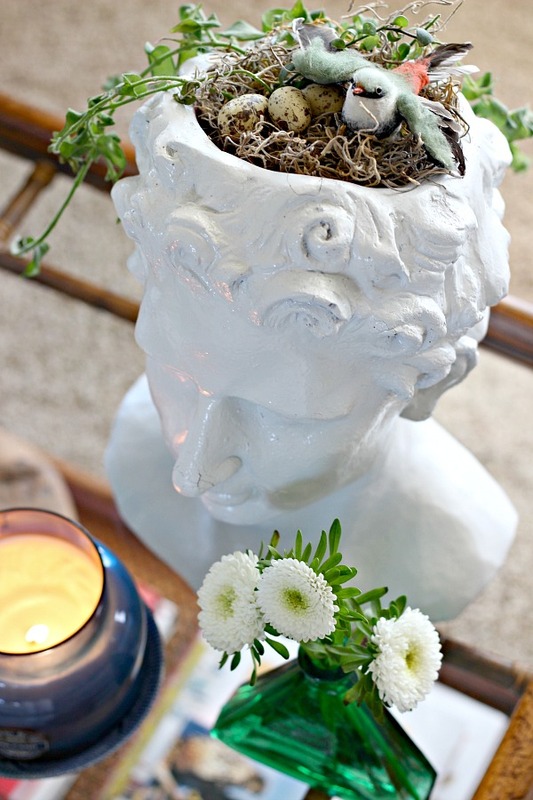 The succulent in my pot head is on it's last leg, so there was some room to add a little bird and his nest. This makes me think of the bird woman on Mary Poppins! This week I did a good bit of rearranging on the built in shelves in this room. 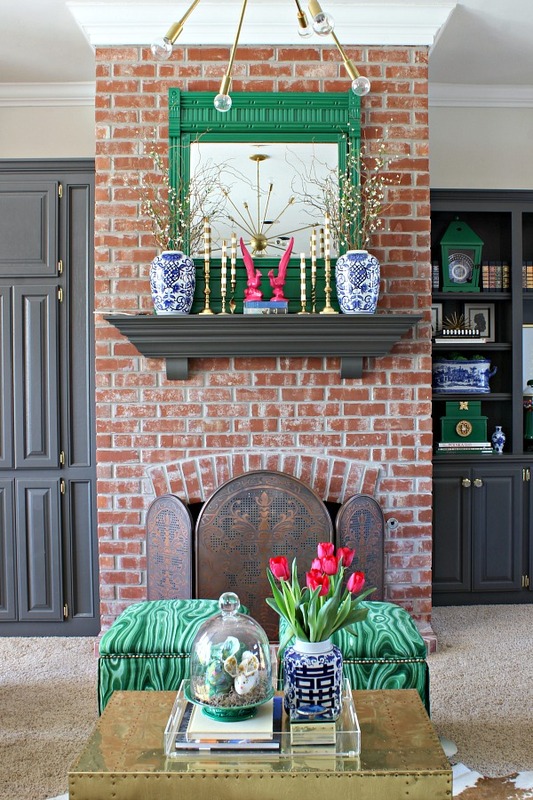 I showed you 3 different versions of a Spring Mantel recently, and I ended up keeping a combination of all of them. 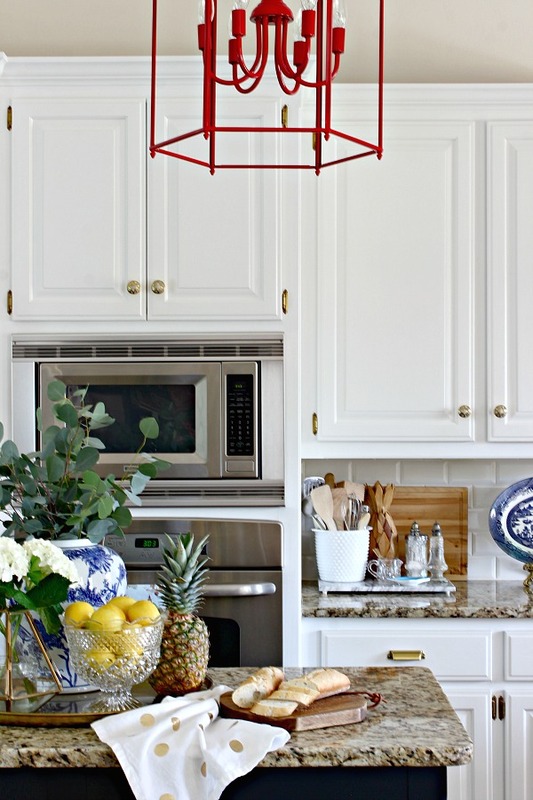 Moving on... well looky there, the pom pom basket even looks good in the kitchen! 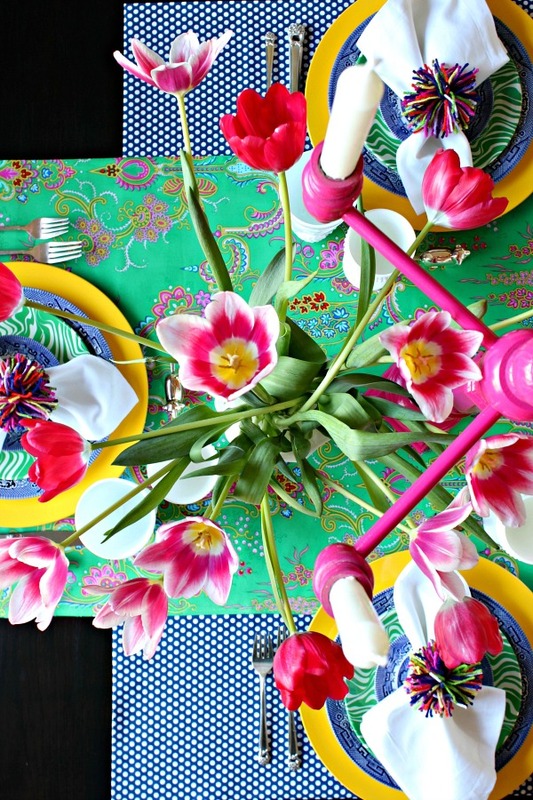 Several weeks ago I shared our Spring table, and showed you step by step how I set a table. I'll probably be recreating a version of it for Easter this weekend. I haven't really changed much in our Master Bedroom since it's makeover last Spring. Since I'm loving the green malachite ottomans in the living room so much, though, the Craigslist bamboo bench found a home at the end of the bed where they used to be. Just by switching out a few pillows I got a whole new look in the room. The fireplace gallery wall has stayed the same, also. 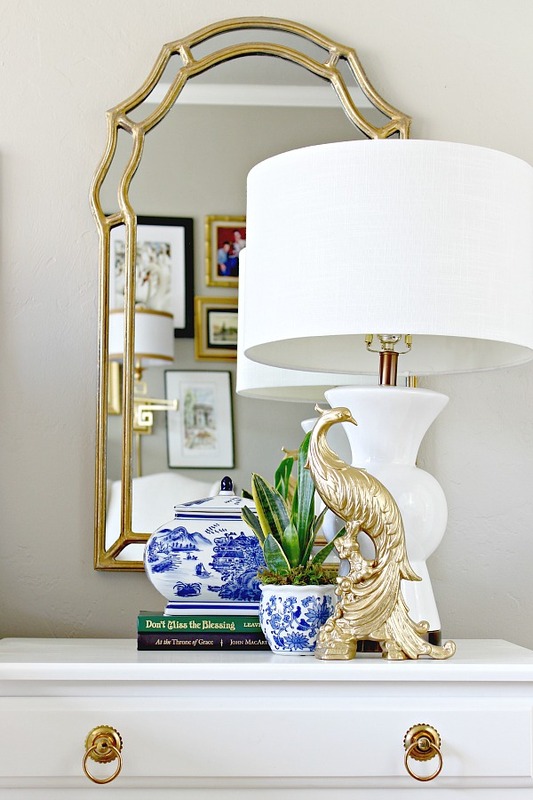 However, I do switch up the accessories on the little brass table from time to time. I hope you enjoyed my tour today! 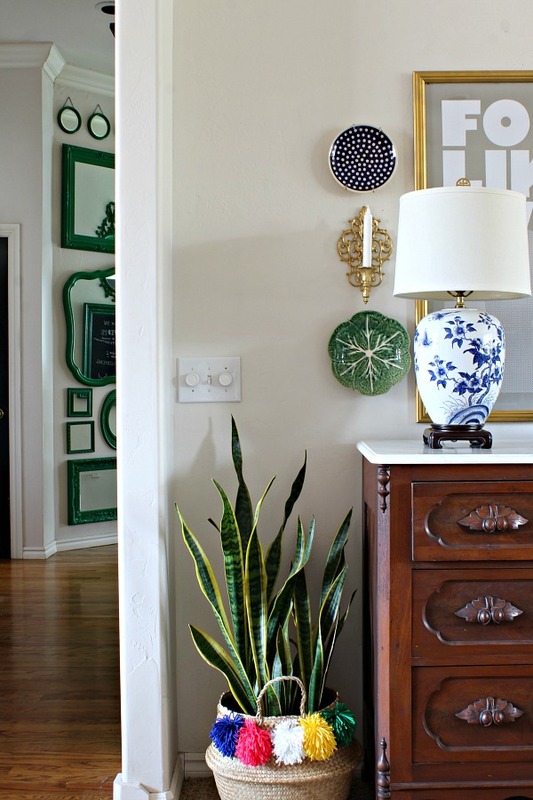 The next stop is Refresh Restyle. I have a hunch you'll just love Debbie's beautiful, classic style! If you've missed any of the other tours this week, here's some fantastic weekend reading for you. *Some affiliate links used. These give Dimples & Tangles a small commission for referrals at no extra cost to you. Thank you for your support to keep this blog going! 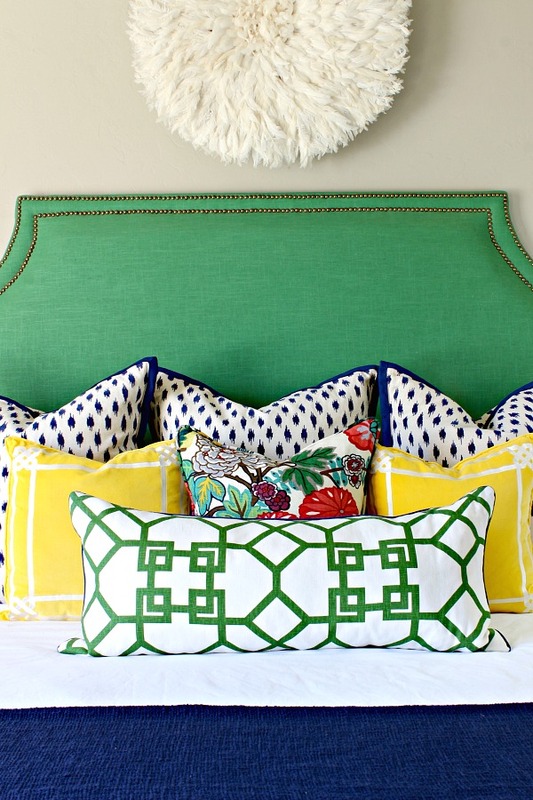 your home was just made for spring and summer with its gorgeous color! lovely, jennifer! As usual a feast to the eye. You are the Master of color combos. 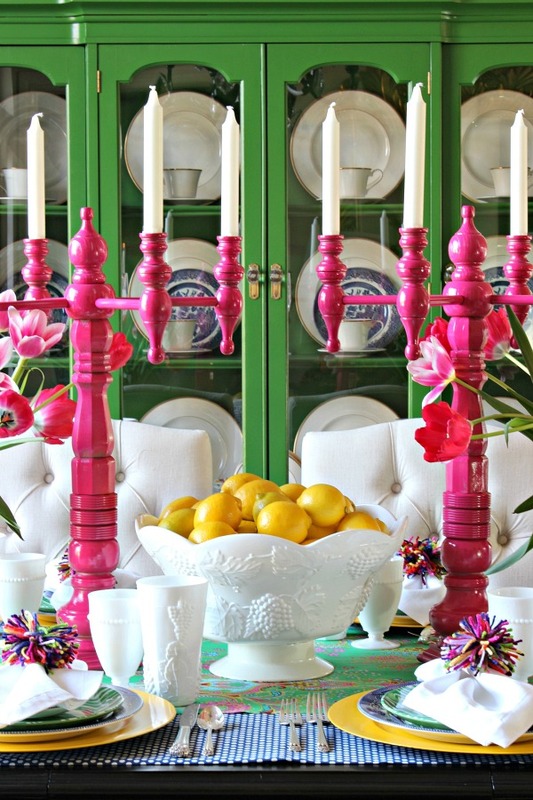 It's not easy to pull of such a colorful home but you just do it so effortless. 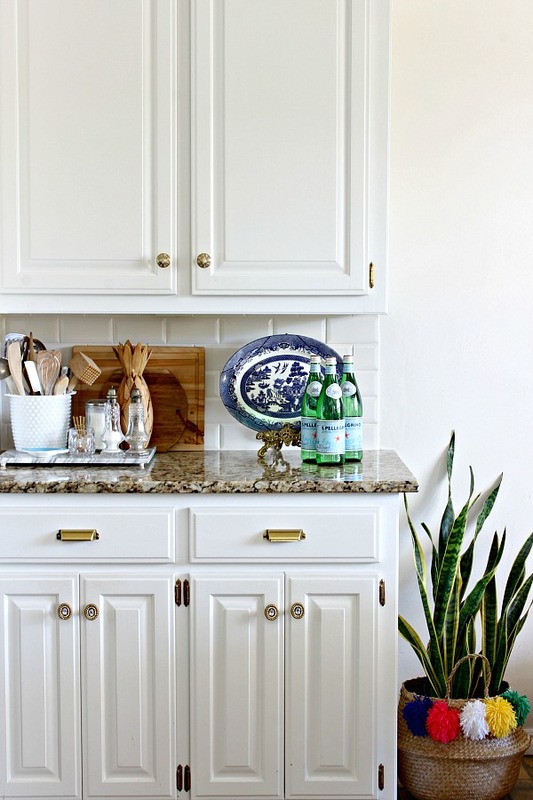 Your home is so bright and cheerful! 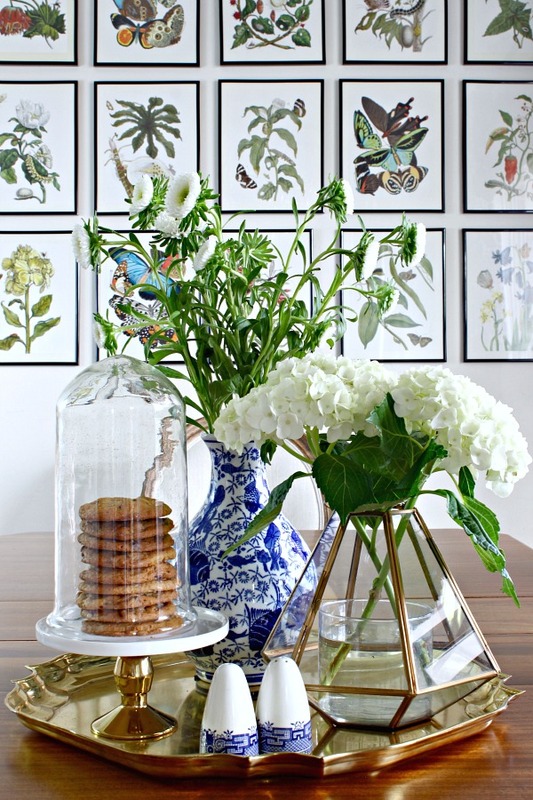 Too much goodness to list it all, but love all the green and LOVE your botanical gallery wall! I agree with Cassie. Your home is just perfect for spring and summer!! Love all that green with blue. Everything just makes you smile to see it! :) Beautiful job. 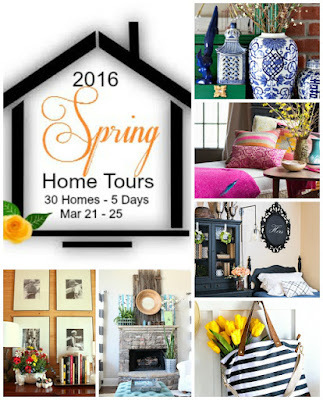 What a wonderful home tour. Pink and green always feels so fresh! As a fellow spring tour participant I wanted to invite you to our linky party, Thoughts of Home on Thursday. Your tour is so fantastic that I would love for you to share it. We offer a giveaway chance very week for each participant. This week is a subscription to Southern Living. I hope you join in on our gathering. Perfect! I love your style, Happy Spring! 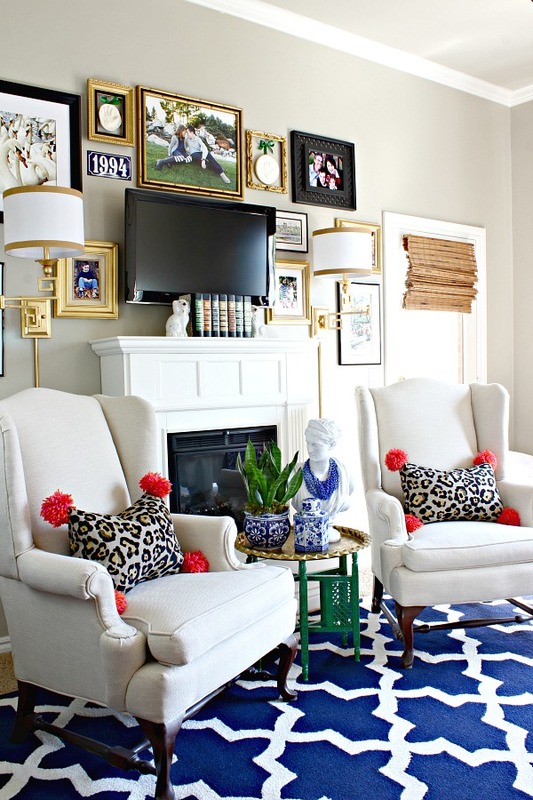 ♥ your decorating style...big bold colors! Wishing you a wonderful Easter, Jennifer. Your house is so beautiful! Love all the color. I love the way you use color. Our tastes are similar, so your style really resonates with me. 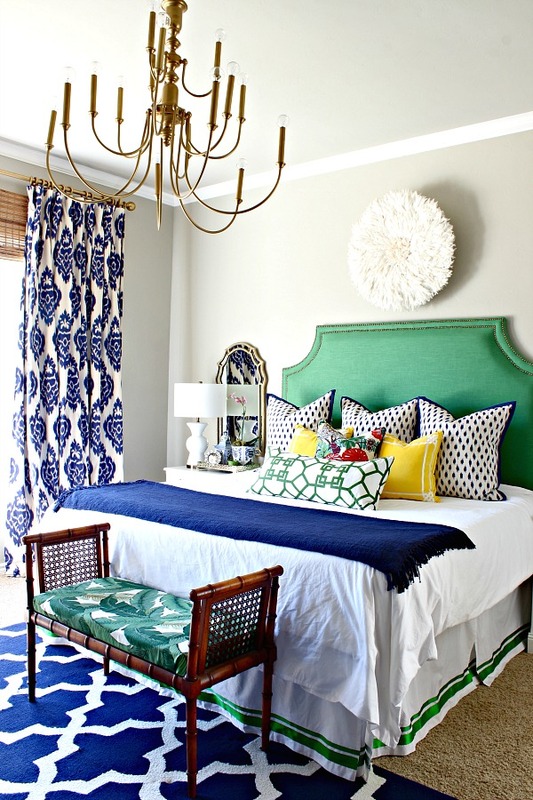 Love, love your brilliant color combinations so much! 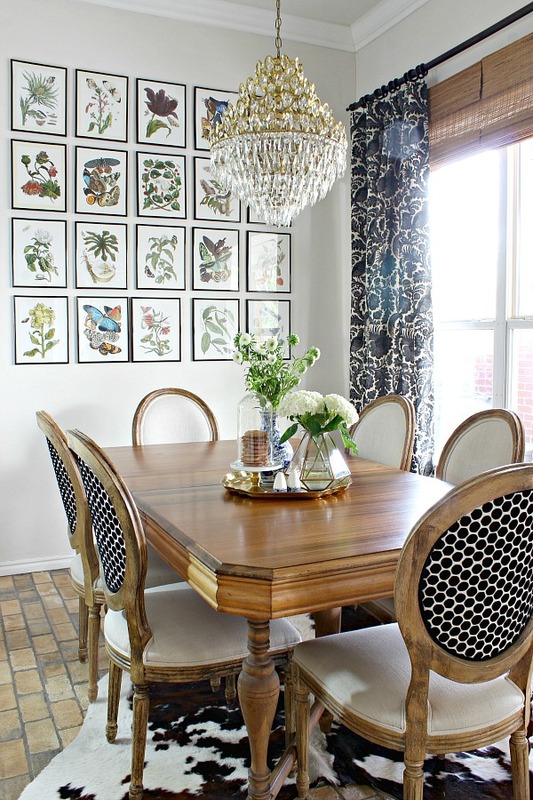 Especially love the table setting and the candlesticks!! 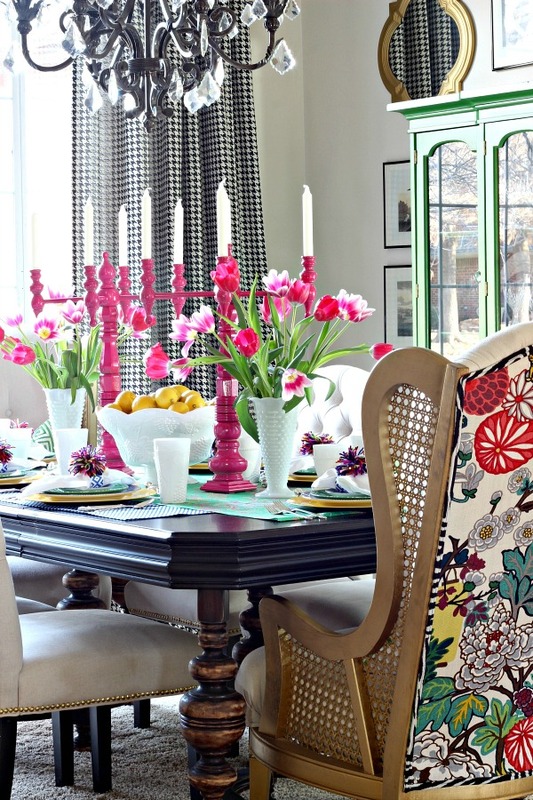 Your green, pink, the patterns are seriously the best combinations I have ever seen! You are one of the most talented people I know! Your tours always blow me away!!!! Hugs from NC! Just beautiful Jennifer! 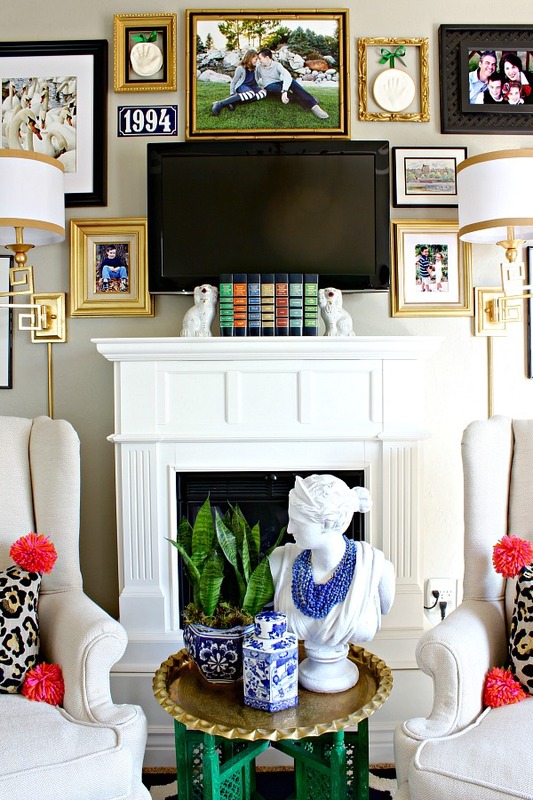 I love your colorful and fun home and all the pretty touches you add to it! It's such a feast for the eyes! AMAZING tour!! 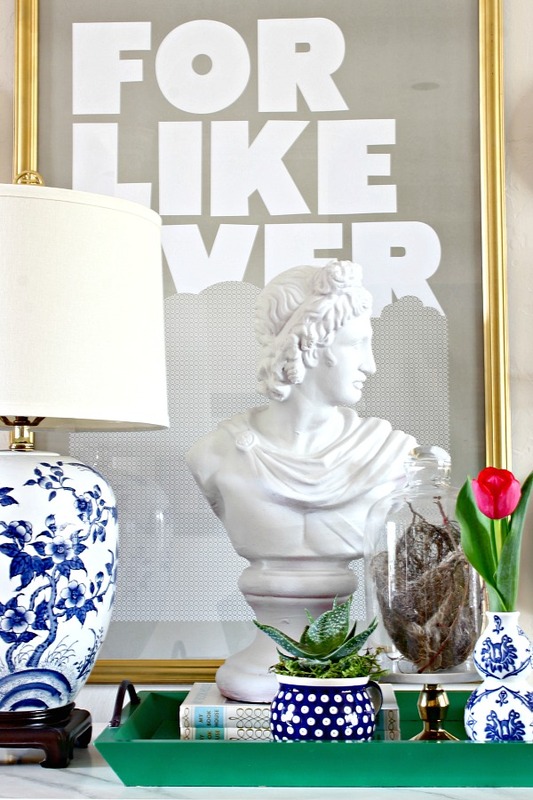 I just love the way you use color in your home. Beautiful tour. Pinning and sharing. Oh my word, I love everything in your home! You have inspired me, I am going to have to make a pom pom basket! Your home is simply a beautiful treat for the eye! Thank you, Jennifer, for sharing your talents and for the the inspiration and the reminder that I must not get rid of my milk glass collection. Have a Blessed Easter and a Happy Spring. 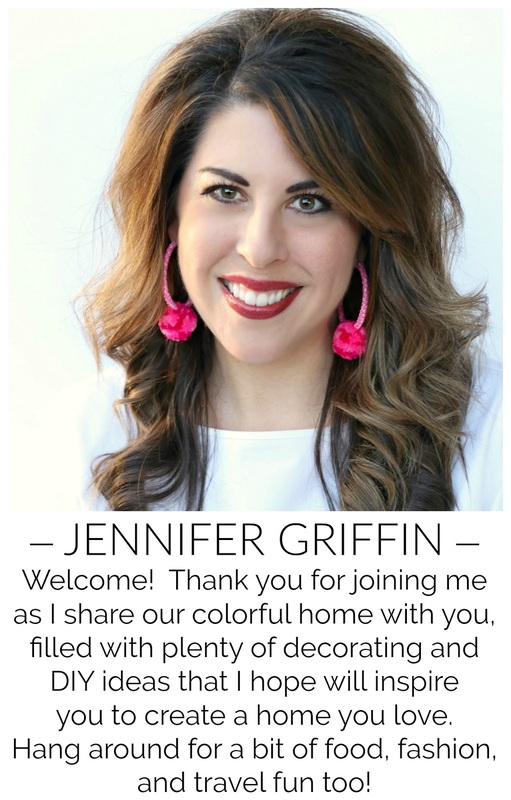 OMGosh Jennifer I love the use of color in your home! It just makes me smile. What talent you have. Thank you so much for sharing and wishing you a very Happy Easter! I always love touring your home! 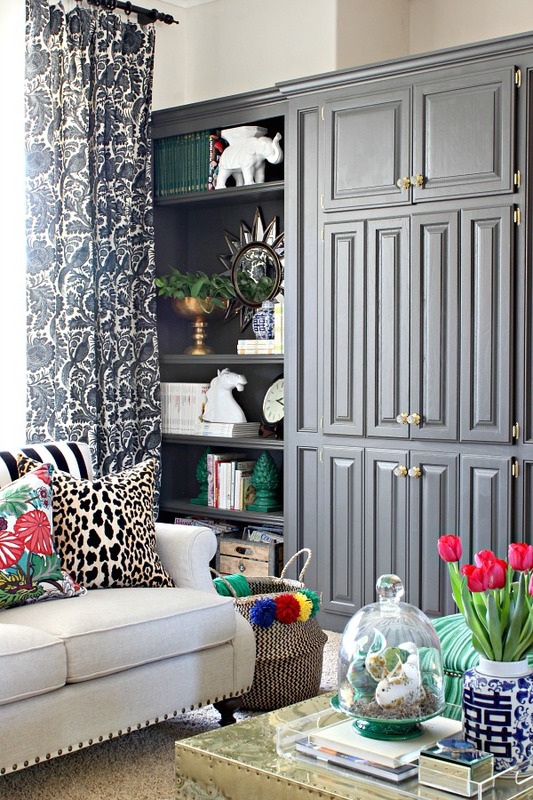 You have a knack for mixing colors. It's perfection! 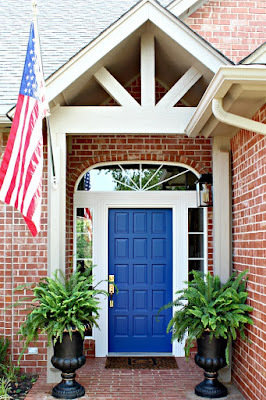 Hi Jennifer~ your house looks so pretty! 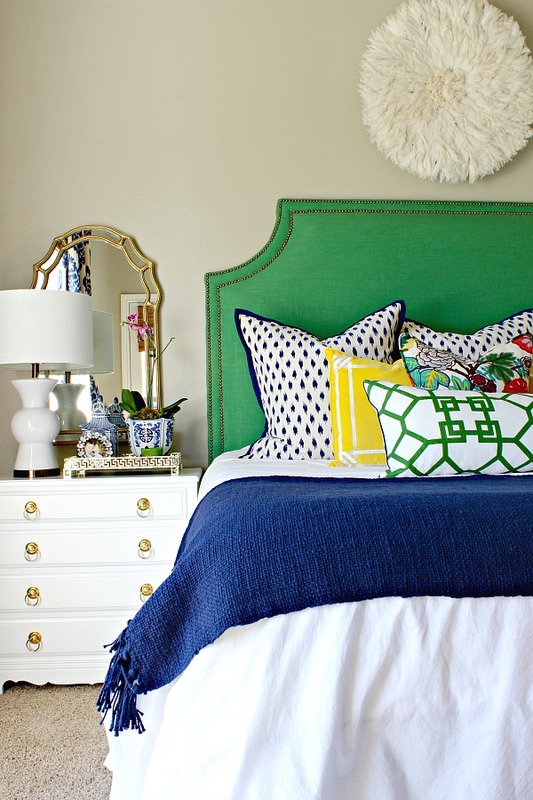 Can you please share the source for the three blue & white pillows which lie against your headboard? Thank you. Jennifer, I love how you just go for it. This was a great tour full of inspiration and color. I love it! I am over the moon in love with your house!